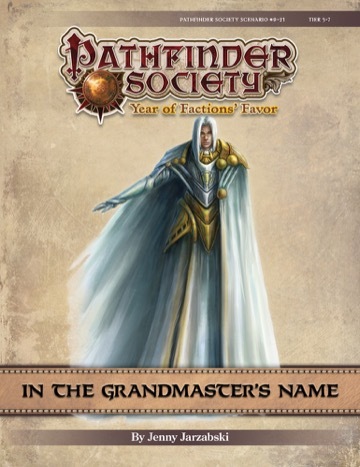 Contents in In the Grandmaster's Name also contribute directly to the ongoing storyline of the Grand Lodge faction. Background events leading up to this scenario also appear in Season 4 of the Pathfinder Adventure Card Guild. I'm in. Though this was something I was mulling over running the next monday. A scenario where we pose as other people? Um...yeah, I'll be playing someone....short. What sub-tier are peeps thinking?